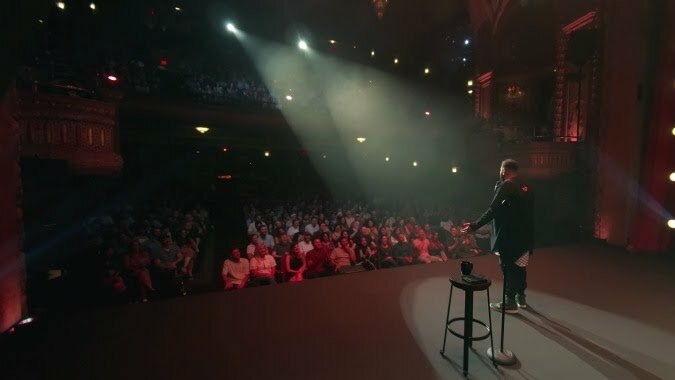 Mo Amer technically isn’t, as the title of his first Netflix comedy special suggests, a “vagabond.” After all, the Kuwait-born comedian became a U.S. citizen back in 2009, after spending his youth in Houston and traveling the world as a stand-up comic for the USO. The thing is, all of that travel experience - positive and otherwise - has put the Dave Chappelle mentee in a unique place. For at a time when traveling across America’s borders has become an increasingly dangerous prospect for immigrants, Mo Amer has transformed his own stories into a hilariously poignant hour of comedy and satire. Even his virally famous run-in with Eric Trump aboard a 2016 flight to Scotland has made it into the mix. Then again, so have his pre-citizenship attempts to travel the world without a U.S. passport.